We have started building our stamina for Read to Self. 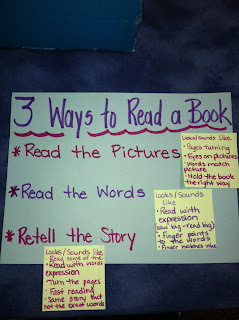 We first started by talking about the three ways to read a book. 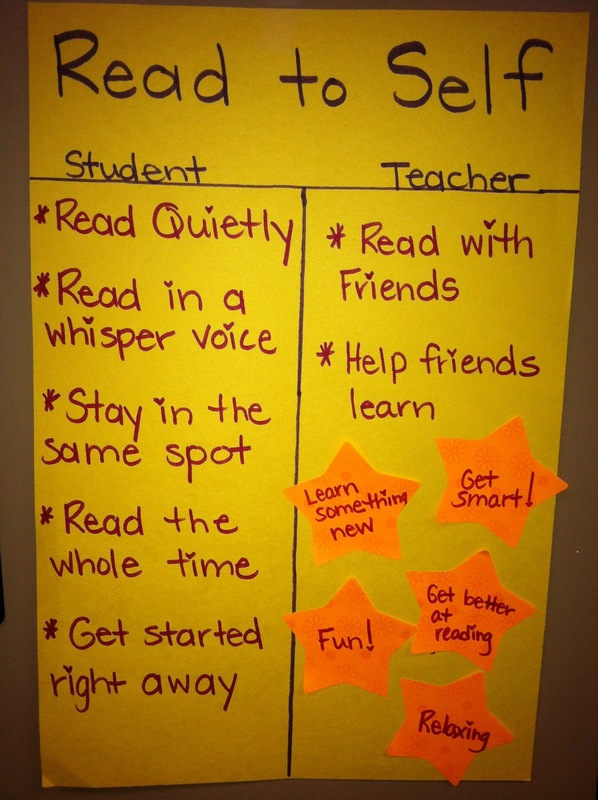 Then we began our study talking about why people read (the orange stars) and then what it looks like when people read (in the student area). 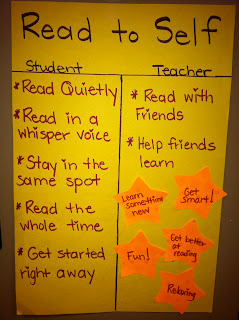 After building our anchor chart we began practicing these reading behaviors. 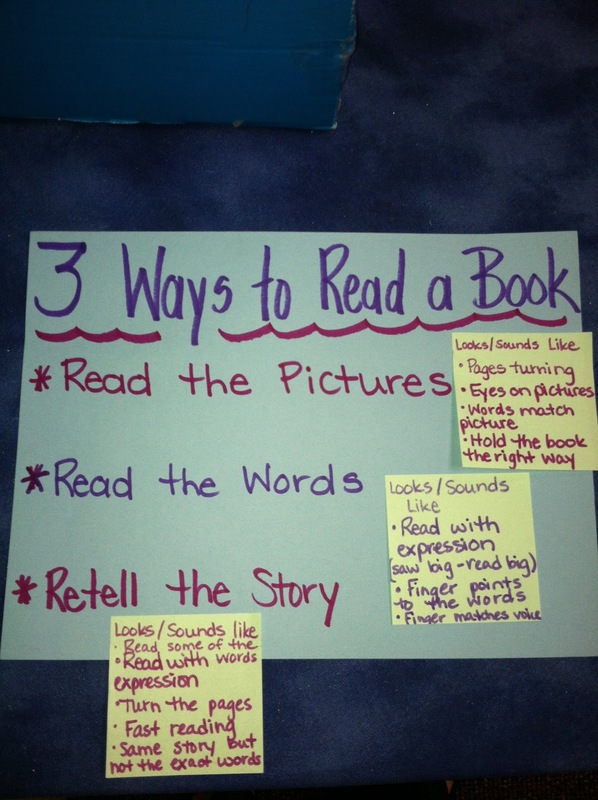 Take a peek at what Read to Self looks like in the classroom.